The Detroit Publishing Company was one of the largest American publishers of postcards and photographic views during the early decades of the twentieth century. 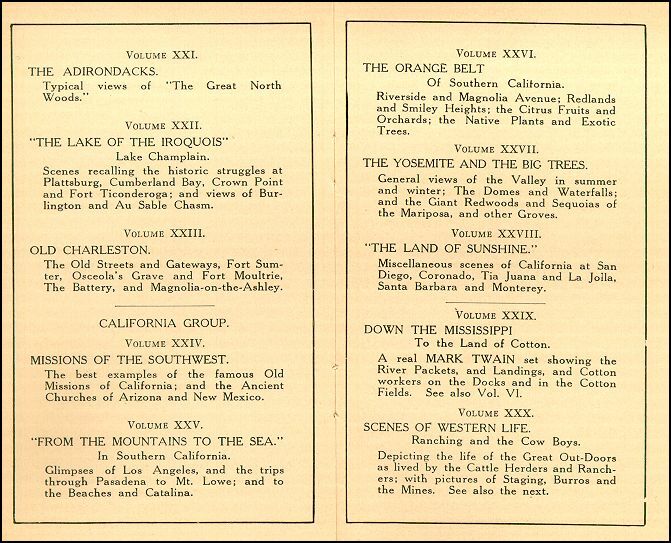 The images are a rich source of documentation for the study of North American landscape and cityscape, and include views of well-known streets, buildings, historic monuments, natural scenery, industry, transportation, and daily life. The Detroit Photographic Company was launched as a photographic publishing firm in the late 1890s by Detroit businessman and publisher William A. Livingstone, Jr., and photographer and photo-publisher Edwin H. Husher. The company obtained the exclusive rights to use the Swiss "Photochrom" process, a photomechanical technique that used lithographic stones to convert black-and-white prints to color. The process allowed the company to mass-produce color postcards, prints and albums that were of unusually high quality. In the fall of 1897, Livingstone persuaded the accomplished American landscape photographer William Henry Jackson to become a partner in the firm. This added the thousands of negatives produced by Jackson to the Detroit Publishing Company's inventory. 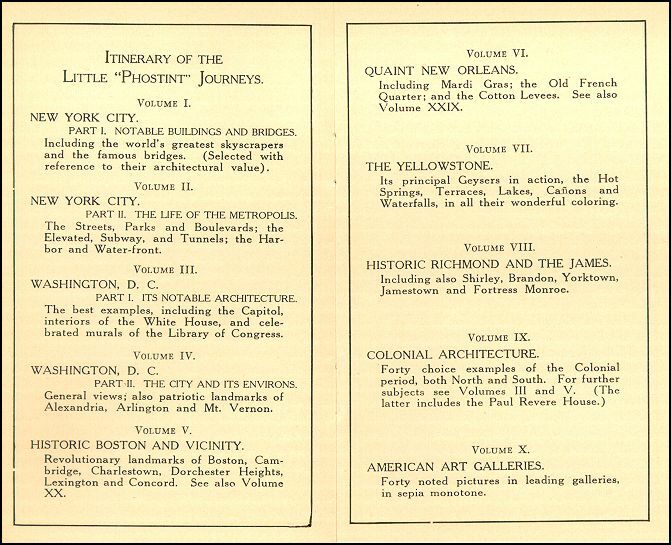 Jackson's collection included city and town views, images of prominent buildings, scenes along railroad lines, views of hotels and resorts, and the like. The nation's fervent interest in the 1898 Spanish American War and the expansion of U.S. naval power accounts for the firm's large inventory of photographs of Cuba and scenes related to the war and for the hundreds of images of warships. 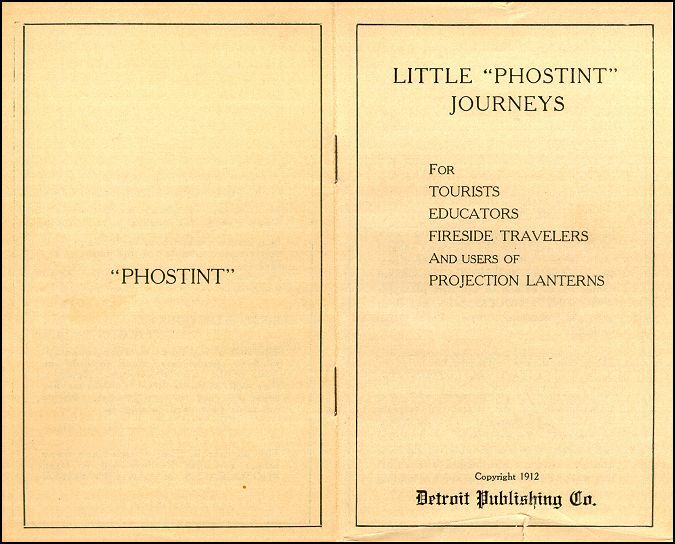 In the 1910s, the Detroit Publishing Company expanded its inventory to include photographic copies of works of art, which were popular educational tools as well as inexpensive home decor. During its height, the Detroit Publishing Company sold millions of prints annually. 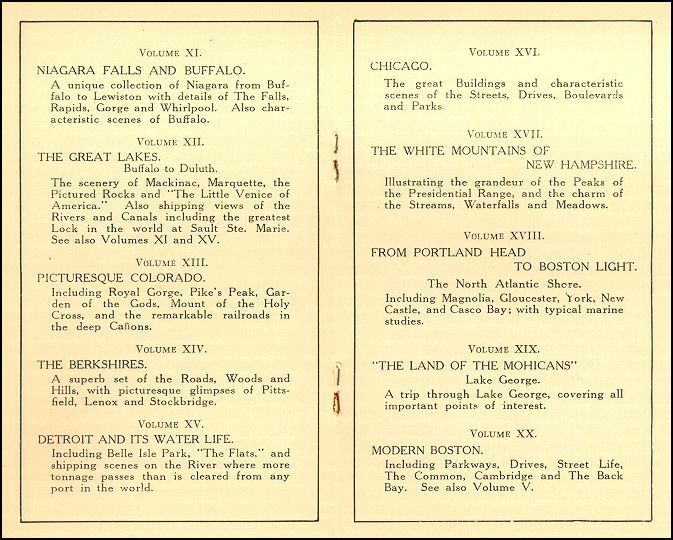 The company maintained outlets in Detroit, New York, Los Angeles, London, and Zurich, and also sold their images at popular tourist spots and through the mail. The firm was known as the Detroit Photographic Co. until 1905 when it became the Detroit Publishing Company. William Henry Jackson became the plant manager in 1903, leaving him with less time to travel and take photographs. 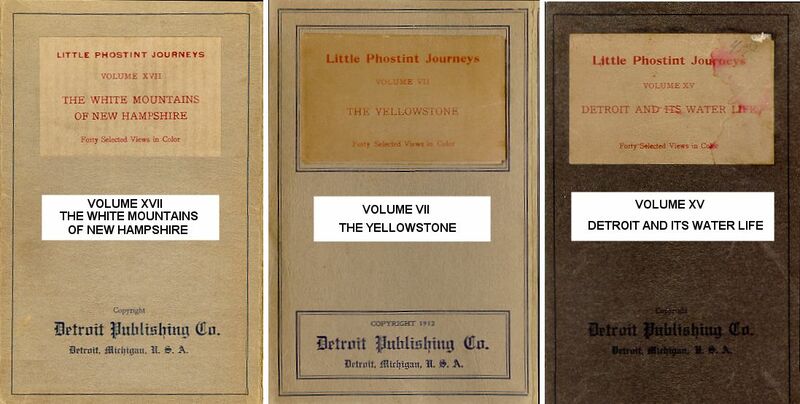 With the declining sale of photographs and postcards during World War I, and the introduction of new and cheaper printing methods used by competing firms, the Detroit Publishing Company went into receivership in 1924. The company's assets were liquidated in 1932. In 1939, Jackson gave the Detroit Publishing Company negatives and prints to the Edison Institute in Dearborn, Michigan. In 1949, the Edison Institute gave all of the negatives and many duplicate photographs to the Colorado Historical Society. 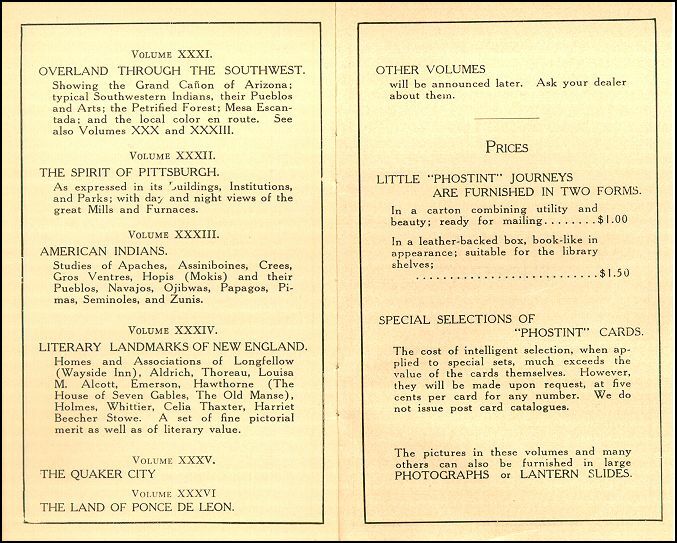 The Colorado Historical Society transferred most of the negatives and prints for sites east of the Mississippi to the Library of Congress later that year. The best known photographer for the Detroit Publishing Company was William Henry Jackson (1843-1942). He moved to Nebraska after the Civil War and was active in the West from about 1870 to about 1890. His photographs for the U.S. Geological and Geographic Survey of the Territories (not included in this collection) influenced the establishment of Yellowstone and other early national parks. In 1898 he became president of the Detroit Publishing Company, adding his stock of negatives to the company's files. He left the firm in 1924. In addition to Jackson, photographers included Hans Behm, Joseph Byron, Clarence M. Darling, Lycurgus S. Glover, Edward Hart, Clarence S. Jackson, John S. Johnston, B.F. Mills, Henry Greenwood Peabody, George Prince, William H. Rau, E.L. Schreck, and Nathaniel Livermore Stebbins; as well as three photographers identified only by last name: Bowen, McCormick, and Taylor. 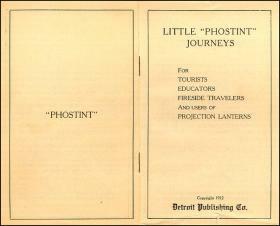 Do you have a Detroit Publishing Postcard Checklist you would like to share with your fellow collectors? 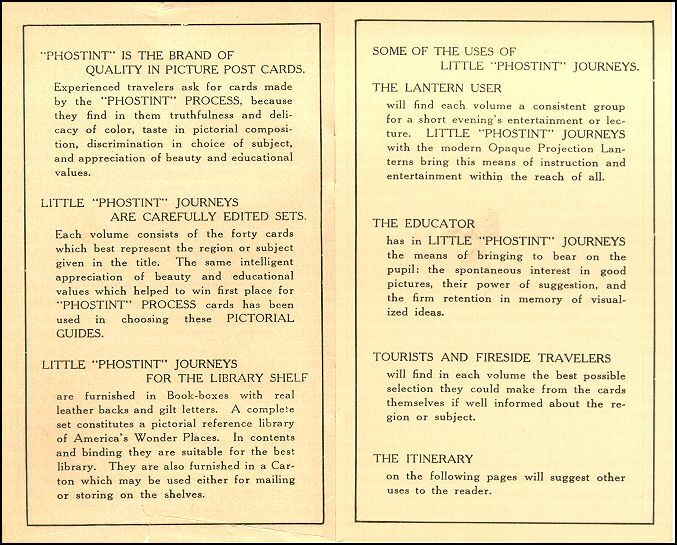 We would like to include them on our site to help in the research and study of postcards, and to further the hobby of deltiology. Any and all checklists are welcome whether partial or complete. Email to david@playle.com as a Word or text file. We don't want to violate any copyrights, so make sure they are not copyrighted. If they are from a publication, get their permission for us to reprint it on our website. We will attribute the checklist to the original publication (if any) or to the author. If it is already on the Internet, send us link. Thanks! 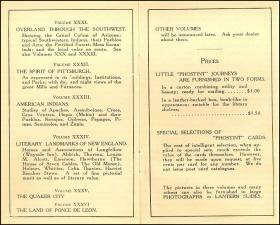 These were packaged sets of postcards from selected locations around the U.S. The ones I have seen had 40 postcards. 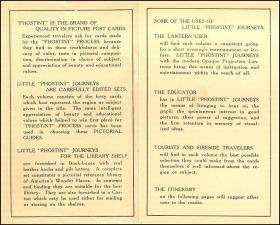 In 1912, a small postcard-size advertising booklet included listed 36 different Little Phostint Journeys. It is reproduced here, along with 3 original package covers (click on the thumbnails for a larger image). Alden, John Doughty. The American Steel Navy: A Photographic History of the U.S. Navy from the Introduction of the Steel Hull in 1883 to the Cruise of the Great White Fleet, 1907-1909 . Annapolis, Maryland: Naval Institute Press, 1972. Burdick, Jefferson R. The Handbook of Detroit Publishing Co. Postcards . Essington, Pennsylvania: Hobby Publications, 1954. Detroit Publishing Company. Little "Phostint" Journeys . Detroit: Detroit Publishing Company, 1912. 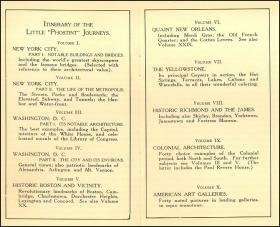 Detroit Publishing Co. "Thistle Publications": Office Catalogue of Works of Art Reproduced from Eleven Leading Galleries of the United States and Many Private Collections . Detroit: Detroit Publishing Co., 1912. Gundy, Lloyd, ed. William Henry Jackson: An Intimate Portrait: The Elwood P. Bonney Journal . [Denver]: Colorado Historical Society, 2000. 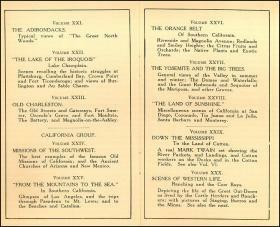 Hales, Peter B. William Henry Jackson and the Transformation of the American Landscape . Philadelphia: Temple University Press, 1988. Harrell, Thomas H. William Henry Jackson: an annotated bibliography . Nevada City, California: Carl Mautz Publishing, 1995. Hughes, Jim. The Birth of a Century: Early Color Photographs of America . London; New York: Tauris Parke Books, 1994. Jackson, William Henry. Time Exposure: The Autobiography of William Henry Jackson . New York: G.P. Putnam's Sons , 1940. Lawlor, Laurie. Window on the West: The Frontier Photography of William Henry Jackson . New York: Holiday House, 1999. Lesy, Michael. 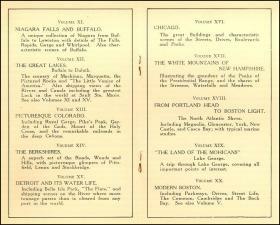 "A Whole World: Pictures from the Detroit Publishing Collection." Doubletake , vol. 1 (Summer 1995):126-128. Lowe, James L. and Ben Papell. Detroit Publishing Company Collector's Guide . Newton Square, Pennsylvania: Deltiologists of America, 1975. Read-Miller, Cynthia, ed. Main Street U.S.A., in Early Photographs: 113 Detroit Publishing Co. Views . New York: Published for Henry Ford Museum & Greenfield Village, Dearborn, Mich. by Dover Publications, 1988. Stechschulte, Nancy Stickels. The Detroit Publishing Company Postcards: A Handbook for Collectors of the Detroit Publishing Company Postcards including checklists of the regular numbers, contracts, Harveys, miscellaneous art cards, the 50,000 series, sets, Little Phostint Journeys, mechanical postcards, the panoramas, and many others . Big Rapids, Michigan: N.S. Stechschulte. Waitley, Douglas. William Henry Jackson: Framing the Frontier . Missoula, MT: Mountain Press Publishing Company, 1998.